Located some 4 hours drive from Surabaya, the capital of East Java, Mount Bromo is a part of the Bromo Tengger Semeru National Park that covers a massive area of 800 square kilometres. 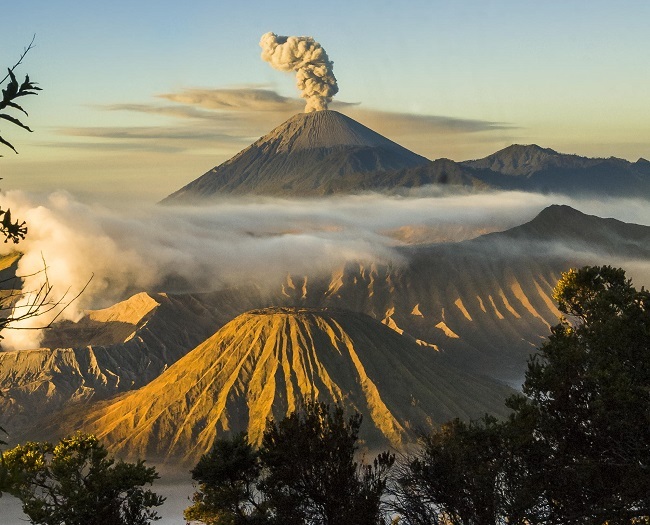 While it may be small when measured against other volcanoes in Indonesia, the magnificent Mt Bromo will not disappoint with its spectacular views and dramatic landscapes. From a vantage point on Mount Penanjakan, 2.5 hours from Malang, visitors from around the world come to see the sunrise over Mt Bromo. From this spot the vista is magnificent - Mt Bromo in the foreground, with Mt Semeru smoking in the distance, and the sun shining brightly, quickly rising in the sky.